There is no city on earth like Nashville, where music engulfs and permeates such a large percentage of its people. We are unique. While country music is king, there has always been a vibrant and relevant underground of other genres. That underground has risen above ground over the last decade with a rapid influx of non-country musical migrants. Today’s Music City is much more diverse creatively, and only growing more diverse every day. Our country music friends have done an amazing job of telling their stories and building their community, and they will continue to do so. But there is a lack of gathering point for those of us that don’t fit into that community. This includes creators and industry professionals in the city’s Pop, Rock, Singer/Songwriter, Soul, Emo, Hip Hop, R&B, Jazz, Orchestral, Electronic, and Christian music scenes. The Other Nashville Society was created to be our gathering point. In many ways, TONS was born out of frustration. The five co-founders each had their own difficult experiences trying to navigate the often fragmented non-country music communities in Nashville. Why was there not one clear organization for everyone else? Why were there not events where we could all come together? Why is it only country artists are over the loudspeakers welcoming us to the Nashville International Airport? So, one evening in February 2017, Josh Collum and Ally Venable talked about those questions and their possible solutions over drinks. Within a week, Ally had introduced Josh to Katie Fagan, who had just moved from LA to open Prescription Songs’ Nashville office, and Mark Abramowitz, who had moved from NYC a year earlier to be Sony ATV’s Pop A&R in town. Josh brought singer/songwriter Holley Maher into the fold to add a creator’s perspective. In March of 2017, the five soon-to-be co-founders met together for the first time at a coffee shop, and within two months, The Other Nashville Society was born. Whether it’s one of our happy hours, showcases or panels, you know you’re going to be in a room full of like-minded people. Our events are laid back and casual, and are open to members and member invitees. We host a series of Mixers and TONS Talks events each year, so keep your eyes on our socials and mark your calendars! TONS loves to partner with brands with big ideas. Every year, we collaborate with a handful of companies that have something special to offer our members. Whether it’s sourcing talent for an upcoming live event, finding the perfect partnership for a video project, or something totally unique, we’re always looking for exciting ways to connect our members with brands. Our members-only private forum is the online gathering point for our community. Here you might find a news article about an important topic for our community, relevant show and event listings, an artist to keep an eye on, a profile on someone that just moved to town, a job opening, a poll question for our members, etc. "As [Nashville] grows, we don’t want it to outgrow us. By creating a community of like-minded and 'like-music-ed' peers, we can link arms and keep growing together, alongside what the city has been and is becoming." "I moved my family and business here a little over a year ago and I was pleasantly surprised to discover so many different artists with such diversity. There is definitely an awesome underlying hip-hop culture here, as well as R&B and pop! It's exciting to be a part of such a great city with huge potential and growth in its future." Writer / Producer: Lil Wayne, Beyonce, Pitbull, etc. "TONS has organized a special community in Nashville. as a recent transplant, it has been wonderful to connect with like-minded music lovers in a new city I am proud to call home. The group provides an important platform for creative people to share ideas and make new friendships, and that is a beautiful thing." "Inclusion, not exclusion, makes the music community and our city more vibrant. That’s why we need TONS." "TONS brings together the New Nashville. It’s a welcoming space for creatives to connect and collaborate on all levels." Having been here for 3 years already, it amazes me that in such a small community of non-country movers and shakers there are still SO MANY people I have not even heard about yet. I’m so excited that TONS can help us all connect, create and develop into a strong group of “Others”! Writer / Producer: Andy Grammer, Robbie Williams, The Backstreet Boys, etc. TONS prides itself on its diverse and active membership. Everyone brings something to the table. To ensure that our community is its most impactful, our members are vetted and hand selected. If you'd like to join the TONS community, please fill out this form. Website, socials, Spotify, Linkedin, etc. Go ahead. Don't be shy. Tell us about what you do, your current projects, or any awards, honors and accolades. Do you know a TONS member? Thank you so much for telling us about yourself and applying for membership in TONS! We review applications monthly, so please be patient. We will get back to you ASAP! 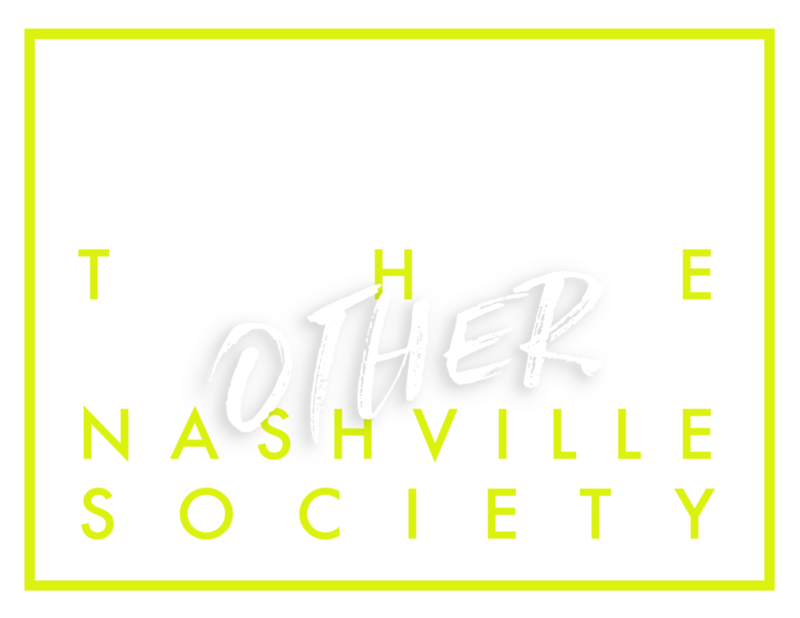 Please email us at TheOtherNashvilleSociety@gmail.com.